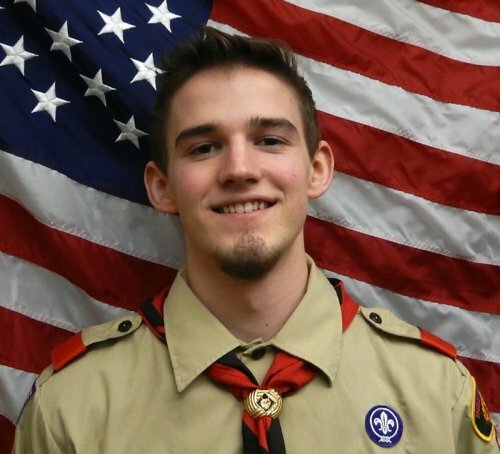 Nick Aase, a member of Boy Scout Troop 33 chartered at First Lutheran Church in DeKalb, recently was awarded the Eagle rank, the highest award achievable in the Boy Scouts of America. Aase is the son of Gerry Aase of Sycamore and Julie Larson of Cortland. Aase began Scouting with Cub Pack 132 in DeKalb where he earned the Arrow of Light Award. He joined Troop 33 in the spring of 2008 and has enjoyed years of activities including day trips, service projects, weekend overnights, high adventure, disaster relief and fundraisers. He attended summer camps at Camp Lowden near Oregon and is a member of the Order of the Arrow, Scouting’s National Honor Society. He earned 30 merit badges. Aase participated in several major activities with Troop 33. His favorite wilderness adventure was the Boundary Waters Canoe Area in northern Minnesota. He enjoyed paddling across remote lakes, fishing, rock-jumping and camping in the quiet beauty of a great wilderness. Hurricane Ike was Aase’s first disaster relief trip which took him to Galveston, Texas. He helped remove debris, hang drywall, cooked for volunteers and helped clean a city park. Another disaster project took him to Kentucky to help restore an abandoned high school into a regional disaster center. Aase’s most recent disaster project was helping with the recent F-4 tornado that hit the Rochelle and Fairdale areas. He planned, developed and gave leadership to an Eagle Project at the Midwest Museum of Natural History in Sycamore, which involved salvaging an area in the basement and converting it into a storage and work area. Aase is a graduate of Sycamore High School and a student at Kishwaukee College.